Southport Labour has accepted a challenge issued by the local Liberal Democrat Party’s new candidate to a debate in the town. The Lib-Dem’s parliamentary candidate John Wright made an “Any time. Anywhere, On any issue” offer to Labour saying he has to “earn the right” to be the main challenger to the town’s Conservative MP. His Labour opponents, however, highlighted that they have already earned that right through the ballot box after last year’s general election result which saw the Lib-Dems pushed firmly into third place and as such any debate must also include the town’s Tory MP who is their primary concern, not the Lib-Dems. Labour point out that John Wright has no known record of activity in Southport previously and so has much work to do before he can even be considered a challenger to themselves but welcomed the fact that the Lib-Dems have now appointed a candidate from outside the town, which after years of attacking Labour and the Tories for doing just that comes as an interesting about-face and change of approach, they say. ” We believe strongly in a local healthy democracy so are happy to have an independently organised hustings style event across a range of topics with all of the major parties and their candidates. We want to bring respect back into local politics so a condition is that the current lowbrow tactics by the local Lib-Dems must stop. We realise that there can sometimes be a toing and froing of “X” is deluded with this policy or “Y” is foolish for this attitude during political exchanges but we feel the Lib-Dems have been sinking lower and lower for some time and in the last few weeks we have heard a series of increasingly reckless claims from them. Two days ago they put out a bizarre and truly appalling allegation that Southport Labour were “in bed” with those who had committed a criminal act by hurling a rock through a car window in another part of the country in what they claim was a Brexit related incident, something that has absolutely no connection to us whatsoever except in the increasingly overheated imagination of the local Lib-Dem party. 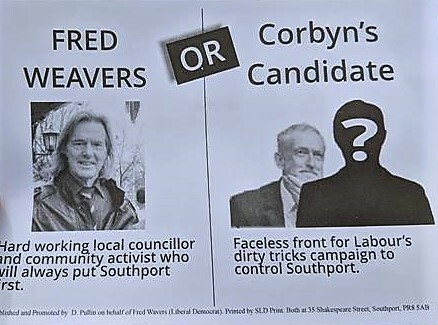 In the last days of the election they also claimed that instead of just being part of the normal democratic process, for us to have a candidate standing in Kew was part of a ‘dirty tricks campaign to control Southport’. During that they described her as a “faceless” Corbyn candidate, despite the fact that Janis Blackburne is a respected local cub scouts leader and actually romped home with a 400 plus majority. Similar scare tactics were used in Norwood by the Lib-Dems, where we returned an even bigger majority of over 650. It doesn’t appear to be doing them much good but we are concerned they will put residents off engagement with local politics through such behaviour. Both Cllrs Blackburne in Kew and Mhairi Doyle in Norwood are determined to represent their wards while respecting residents. We feel this has been sadly lacking for some time from the Lib-Dems. Much of the current animus from them locally stems from their electoral setbacks we think and also the reaction to their treatment of the Kew Park Campaigners. Instead of doing the decent thing and simply apologising for the attack they launched on the two young mums from the campaign at the Area Committee, the Lib-Dems dug themselves a deeper and deeper hole. They want to try to blame us and the campaigners for their own misfortune by wrongly claiming they have been smeared, rather than looking at their own actions which were the root cause of their problems. This week they complained that Labour were “opportunist” over the matter as if somehow we were supposed to simply stand back and let them get away with what we felt was a shocking display of contempt for local residents, as well as their subsequent shoddy treatment of the park campaign. The Lib-Dems might not like it but we won’t stand idly by when we believe residents are being abused like that. Nor was it just ourselves at the time but also an independent, formerly Tory, councillor who felt standards had badly fallen at the Area Committee; even the official young observers took them to task at the next and final meeting for the behaviour and attitudes on display there. We have supported the park campaigners throughout and have long said we will help them if we can, so it would be remiss of us not to take this opportunity to call again for a full apology to finally be issued by the remaining Lib-Dem councillors to the campaigners for the treatment received at that Area Committee meeting and afterwards. Now that the boards have been taken down and those newly-elected councillors have begun to find out exactly what they’ve let themselves in for, it’s a week after the local election results and time to take stock of what they mean on the broader political landscape in the town? For Southport Labour, it was a truly historic campaign. For years Labour has had to endure local Liberal-Democrat taunts of “Labour can’t win here”. Local Lib-Dems would trot the slogan out in their leaflets, in press reports and anywhere they could think of. It was a glass wall that they built around Labour in Southport, desperate as they were to contain us. The reason was not just of opposition politically, it was one of their own political survival locally. The Lib-Dems know that they have always relied heavily on Labour votes in Southport. For decades the choice was presented simply and starkly as vote Lib-Dem or get Tory. So Labour supporters did just that. It was a sort of uneasy and unofficial local Lib-Lab pact with the Lib-Dems reaping the benefits of position and Labour voters feeling that at least they were keeping the Tories out. John Pugh was the last Lib-Dem MP to benefit from this and there was a clear reason why. The Lib-Dems broke that pact by going into Coalition with the Tories. Labour supporters had done their “duty”, had voted Lib-Dem and still got Tory. The Lib-Dems then went on to collude in an austerity programme that saw havoc being wreaked on our services and our community. Labour supporters had had enough. 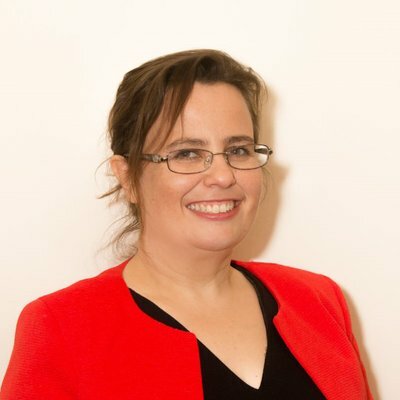 Coupled with a very strong parliamentary candidate in Liz Savage and real endeavour from local party members, Labour has thrown the Lib-Dem ‘ape’ from its back. A near quadrupling of its vote since 2015 isn’t just down to a “Corbyn effect” but as the beach rally last year in Southport showed, he has certainly been a big pull for many. As was the Labour manifesto, which offered a real chance of a fairer society. “For the many, not the few” is not just a Labour slogan. It is a credo. Even with the local Lib-Dems being pushed back into third place during last year’s general election, Southport Lib-Dem councillors desperately clung to their favourite mantra like a comfort blanket. Now it has been snatched away. Labour can win here, it just did – twice in one night. 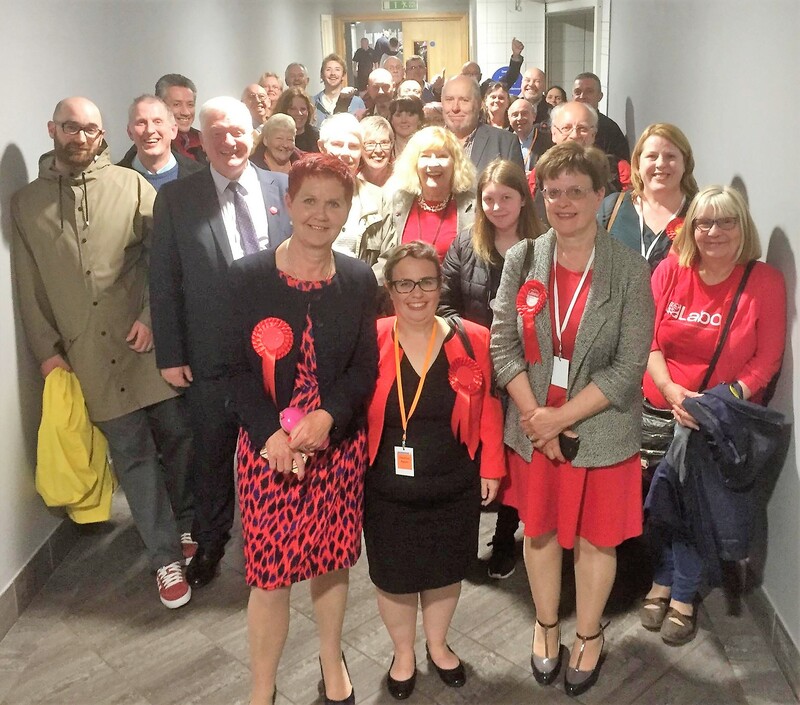 With two resounding wins in both Kew and Norwood, Labour returned its first ever Sefton councillors (Cllr Janis Blackburne and Cllr Mhairi Doyle respectively) and has now built strong walls on to the very solid foundations laid over the last few years. The work isn’t finished yet but it is looking like it could become a rather grand design at the next general election. The Tories no doubt will be pleased with their return on the night too but in terms of groundbreaking achievement, it lacked Labour’s historic element. It was more of a lick of paint on the old semi-detached, or perhaps more accurately given their brutal austerity programme, the fully detached. In contrast, the Lib-Dems are looking ramshackle. They lost four seats in total, two to Labour (and nearly a third in Birkdale) and two to the Tories, in Cambridge and Ainsdale. That the roof is blowing off the local Lib-Dem house was also evident in how they lost another of their sitting councillors in Jo Barton. The one-time Meols councillor was pushed out into Dukes when Cllr Dan Lewis decided he suddenly had a hankering to be a Meols councillor himself, instead of carrying on in Norwood and facing the Labour challenge. A desperate move for Dan that paid off but not so much for Jo, who lost, allowing the Tories their third win on the night. 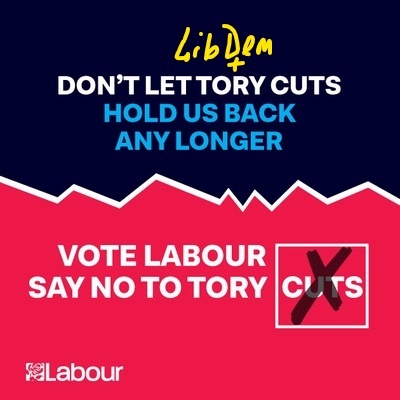 Despite the defeats and how the local electorate has repeatedly rejected the Lib-Dem’s spin; such as the low brow campaigning they engaged in with leaflets such as this by their now ex-councillor Fred Weavers ( a tactic also employed in Norwood), the Lib-Dems still have not learnt. Now they are attempting to push the line that somehow they have jumped from third place to pole position in the constituency by counting the total number of votes across the town for all seven wards and blithely ignoring that this was not a general election vote but a local election. It is a rather different affair with lower turnouts and sometimes even different motivations for certain electors. It also used to be the Lib-Dem’s stronghold in Southport… but no more, they have been seriously breached. So, in a bizarre response, they have tried to ramp up the very tactics that lost them their seats in the first place and feed local residents of this seaside town yet more political candy floss by claiming they are now in prime position to take back the constituency. It won’t work. 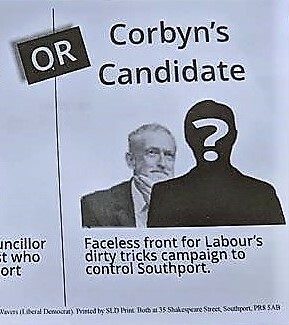 After being knocked into third place in GE2017 and now losing all those seats plus a sitting councillor, it is increasingly obvious that the only way to stop the Tories in Southport is to vote Labour. Labour offers a new direction and will fight to stop the cuts and return funding to our town and investment in our services and community. Our message is being heard. The glass wall is shattered. Local residents meanwhile are seeing through the Lib-Dems. Residents are also increasingly peering at the Lib-Dems and their lack of achievement over the last 20 years or so. Judging by the results, voters do not like what they see. They are now looking beyond the divisive tactics and through the Lib-Dem’s constant misinformation. Perhaps then it is time for a new slogan? “Lib-Dems can’t spin here” has a certain ring to it. 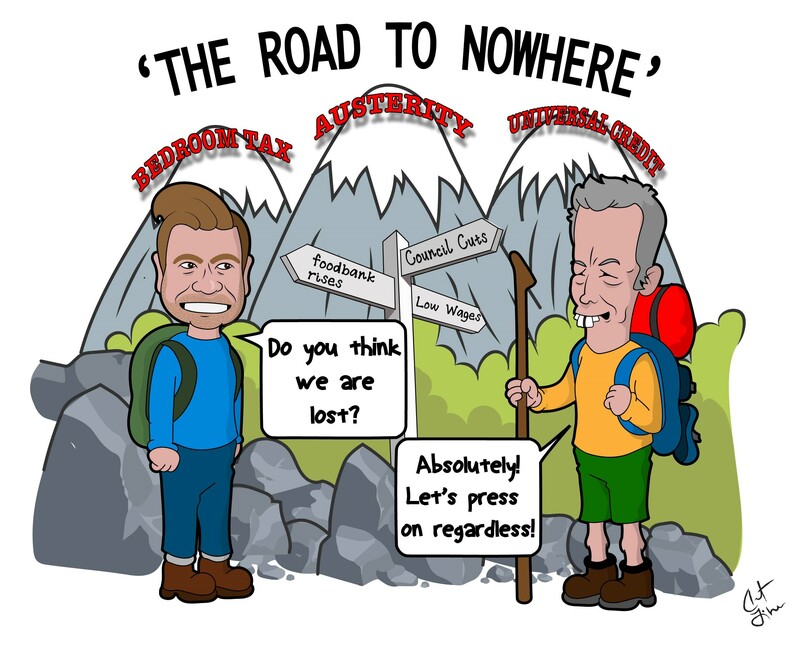 The same old tired path for Southport, or a new direction? Direction is a funny old thing. Your perspective will determine what’s left, what’s right and also indeed, what’s right and what’s wrong. If your internal compass is off you can find yourselves in all sorts of trouble. So what direction do you think Southport is heading in? For 20 years or so it’s been on a Lib-Dem path, it had all the councillors and the MP, even leadership of Sefton Council at the same time at a point. Where did that get us? Look around you and you can see it wasn’t very far. The story of their failure is writ large upon this town. Now, we still have mainly Lib-Dem councillors but with a Tory MP and yet we are treading the same old tired path, going round in circles. There is nothing to split their parties locally, so there is no new direction. Both prefer to ignore real concerns. Why for instance do they not address issues such as the record rate of foodbank use here? Weeks ago we revealed it had risen in Southport yet again and how with a month or so still to go it had already surpassed last year’s amount. Now, the final foodbank figures have been revealed… and it’s even worse than we thought. 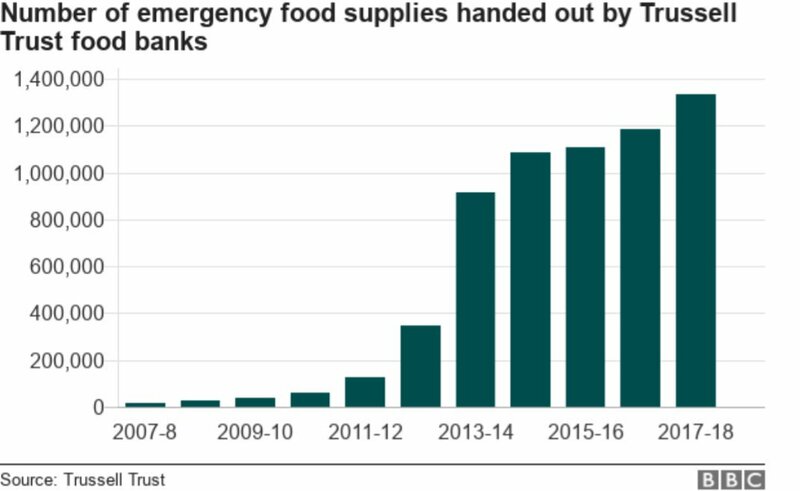 Just under 60,000 meals have been given out to local families and single residents who are struggling – a record amount and up 13% from the previous year. It’s an astonishing number from the biggest but not the only foodbank scheme in the area. Sadly, most figures around foodbanks are astonishing these days thanks to austerity. Neither party supported Labour when we highlighted indicators that our local hospital was in real crisis; they prefer to gloss over crime being on the up in the region and, while quick to complain if local services are struggling, they rarely discuss why that’s the case? Why exactly do they want to constantly criticise the local authority instead of addressing these and other significant problems? Quite simply, because they helped cause them. Local Lib-Dems and Tories want to try and point the finger anywhere but at themselves and it’s clear to see why. Between them, locally they will soon have cut nearly a quarter of a billion pounds from our local authority. It is another astonishing number. Our borough will have lost 51% of its pre-cuts budget by 2020, money that could have seen greater investment in this town and its services. Instead, libraries have closed; children’s services have to be re-organised; roads and amenities have suffered. Everything the council does for us has now become a real struggle as a result. Imagine the boost £233m could give to Southport and Sefton. During their Coalition, the Lib-Dems and Tories also cut £2.3 billion from police funding and so we lost 21,000 police officers, more than that again in PCSOs and support staff. One in four Merseyside officers were lost. The Tories have cut hundreds of millions more money in real terms since. Crime, which was falling, has now risen significantly in areas like gun and knife incidents. Vandalism and shoplifting go effectively ignored as the remaining officers are so overstretched. Early intervention work with youths on a crime pathway has all but halted. Do you think Southport is a safer place for all those cuts? Our previous MP voted for them. Our current one just voted for more. In a few weeks Southport is to feature in a Panorama about a crime blitz caused by police cuts. Southport, featuring in a Panorama on crime?! Who would even have dreamt such a thing before these brutal cuts? The police service is not the only one feeling the intense pressure brought about by the disastrous policies of the Lib-Dems and Tories. The 2012 Health and Social Care Act that both parties brought in has caused real problems for the NHS, as has the insufficient funding that’s followed it. When we recently raised concerns about the hospital, local Tory MP Damien Moore claimed all was well there and accused us of “scaremongering”. How wrong and foolish he soon looked. The A&E 4hr Treatment Target figures released just days later showed how our hospital was a staggering 15% below the recommended safe level. Sixty-eight A&E consultants, including one from our own hospital, then wrote to Theresa May to detail how “patients were dying in corridors” and systematic failure in the NHS. If you were one of the hundreds of local residents who were forced to wait, often for hours, in the back of an ambulance before being admitted to A&E recently, you will have seen it first hand. The hospital has just had another disappointing report from the Care Quality Commission, there are major problems there caused by various factors but it basically now comes down to one thing – the Tories, who are underfunding and mishandling our NHS. The local MP though still blindly tramples on, unable or unwilling to see the damage being caused. The austerity measures that the Lib-Dems and Tories brought in have resulted in stagnant wages and local families being hit hard. Perhaps that’s why Southport foodbank numbers are so disturbingly high? Unemployment might be down but it is at the cost of a huge growth in zero-hours contract, low paid work. A five-fold increase since 2010. So, many working families still need benefits or have to turn to foodbanks. Sure, a few of those already comfortably off may be doing even better under this government, many more are not. Average wages are lower in real terms than a decade ago – and even that figure is being massively skewed by the increasingly wealthy few. One in eight British workers are now classed as in poverty. Perhaps that’s why nurses have to use foodbanks too? A wage increase that doesn’t match inflation is still a wage cut in real terms. It’s an appalling situation. One where many people are working harder than ever before for less and less reward, while a few see their wealth rocket. The town’s former MP, John Pugh, voted for those austerity policies and its current MP, Damien Moore, supports them. Little wonder then that both loudly cry “Wolf!” and have named it ‘Sefton’. Look over there, they cry, anywhere but at their voting records and policies. Since John Pugh returned to local politics as a councillor, the pair and their parties now form something of a double-act on the matter. Let’s call them, the “Fellow Travellers”. Little encumbered by having to put their political differences aside, they prefer instead to attack the local council at every opportunity. It is now a clear and well-trodden path among local Tory and Lib-Dems parties. They devastate Sefton’s funding and then try to round on it as it does its best to continue moving forward. These fellow travellers offer little vision for Southport, only division for Southport. So instead of trying to utilise the local authority and the Liverpool City Region as the engine to get Southport moving again, all they want to do is burn bridges, not build them. So they point at the Strand purchase and demand to know why the money was spent there not in Southport, as though Bootle does not have its own problems that need solving and as if Southport gets nothing. In this dark fantasy world of “them” and “us” where Sefton constantly deprives Southport; no light can be found. So they have to pull a blind over the £21m spent on the Atkinson; the £25m on the Floral Hall redevelopment; the £8.5m on Splashworld; the £7m on Southport Business Park; the same again on Marine Way Bridge; the £5.6m on King Gardens and the various other capital investments that altogether come to just under £94m invested in Southport. Even now when its budget is down to the marrow, the council still pumps money into the town, constantly looking for ways to boost business and tourism. Money like the huge sums to the convention centre, the Atkinson, last year’s Open golf, etc. etc. Instead of a wolf, “Sefton” is more like some poor faithful hound being constantly maltreated and kicked by those it is duty-bound to serve. It could do more, if it had more. Then there are the bogus claims that Southport has lost “its voice” due to the Area Committee being superseded by a new Southport constituency forum. The very idea of this change is actually to give residents themselves a greater voice! To make it easier and less intimidating for them to interact with the council and their representatives. It’s to hear the voice of the people and not the hectoring, berating and braying bawling of a number of local councillors who have forgotten that they are there to listen to and work for their residents. It is not to leave them feeling “bullied, humiliated and intimidated” as occurred to two young mums at the penultimate Area Committee meeting – a sorry incident that resulted in changes to the Sefton’s Code of Conduct for members and mandatory retraining for all councillors. The Area Committee was not “Southport’s voice”, it had become a toy megaphone for a number of councillors who had forgotten they are the representatives of local residents, not their masters. What resulted was harsh, discordant and rarely intelligible. When even the Area Committee’s official young observers take them to task for belittling residents, as happened at the final meeting, things needed to change. Local Lib-Dems protest but care little for true local democracy, they simply want their toy back. *Let’s ask them why foodbank usage is now at a record amount in the town and do they think their austerity policies have contributed to it? *Let’s ask why they like to claim they care about crime but then voted to cut all those police officers and staff? Why our town feels far less safe for many? *Why they have ensured that Southport isn’t getting the funding it could have had? Why they constantly cry “wolf” but are the ones who have torn the financial flesh from our town and borough’s bones? 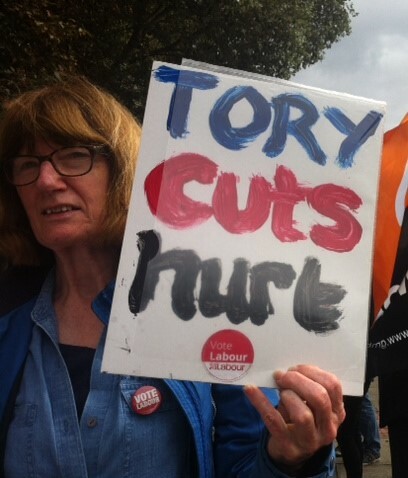 *Why they try to blame “Sefton Labour” for every Southport ill under the sun when Labour has only had control of Sefton since 2012 and has had to struggle under the burden of their cuts from day 1? Let’s ask them to stop running Southport and Sefton down and instead look at ways of building it up. To stop trying to falsely pin the blame for Lord Street’s empty shops on a council that does not set business rates, does not set the rents and does not control the global trend to online shopping… and instead help look for solutions to boost the local economy. Real solutions, not yet more unreal spin. So they can stop empty talk of projects like tidal lagoons in Southport, which they know would require funding in the billions when, due to the cuts they’ve made, we struggle to raise capital in the millions. Nevermind that other sites are far more practical for it. Labour supports tidal lagoons, we do not support castles in the sky. Let’s have real change, not yet more phoney “friendship”. Let’s ask them why they want to follow the same old circular path? The road to nowhere. If you want Southport to find that new direction, come with us. We’ll show you a way out by investing in our town and borough, investing in our services, investing in our residents. There is no bigger issue that faces Southport. Virtually everything else flows from it. It will revive our community and help boost our tourism and economy. We also want councillors in Southport who will treat residents with respect and work for them, not achieve little but their own tenure. Councillors who will strive to protect what we have and push for better. Not sit back while their party destroys our services and amenities and then try to blame others. Who will work cooperatively with colleagues elsewhere to get the best for our town. 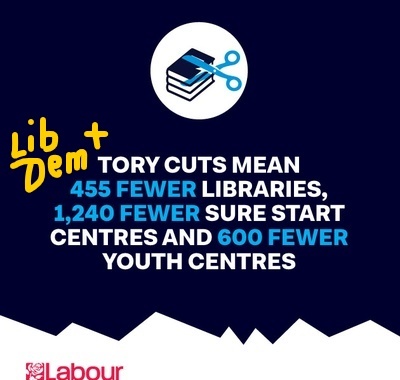 Despite having only two local councillors who recently crossed over from the Lib-Dems tired of their active opposition to progress, we’ve already had notable successes. After strong representations from ourselves and Southport BID, Sefton Council listened and we achieved the return of the 30-minute parking charge. The other parties simply attacked, we persuaded. We also managed to secure £30,000 from Sefton to help the Kew Park Campaigners save their playground, despite the hostility of local Lib-Dems. We are already getting deals done for the good of our town and we are already talking to local businesses about how we can best help to move us forward. Labour is now a real presence in Southport and is doing much good. We’ve thrown ourselves into a variety of community action projects from hiring skips to help residents clear, to cleaning beaches and also planting 500 young trees. Our councillors work hard on local issues for residents. We can do more if elected and we will do more if elected. We also want residents to have the opportunity to contribute in an economy based on solid jobs with decent salaries. Have decent housing and a town we can feel safe in. Instead of giving huge tax breaks to those already wealthy and corporations, we believe in wealth creation for all, not just a few. We should all be able to enjoy a great NHS and social care system; to watch our kids get a good education. Make no mistake though, the cuts have to stop and the investment has to start or Southport will continue to suffer. You can help us achieve that. Let’s send a message that enough is enough. Vote Labour on May 3rd in the local elections and take Southport forward. Author adminPosted on April 27, 2018 Categories Editorial, NewsLeave a comment on The same old tired path for Southport, or a new direction? Labour has confirmed its candidate team in Southport for the local elections on May 3rd. The deadline for nominations passed yesterday afternoon and Labour will contest each of the seats up for election in the town’s seven wards. The party has had a resurgence of support in Southport in recent years, nearly quadrupling its vote in general elections since 2015. Last year it displaced the Liberal Democrats as the main opposition to the Conservatives in the town, coming second for the first time since 1966 and with it’s best ever vote here. 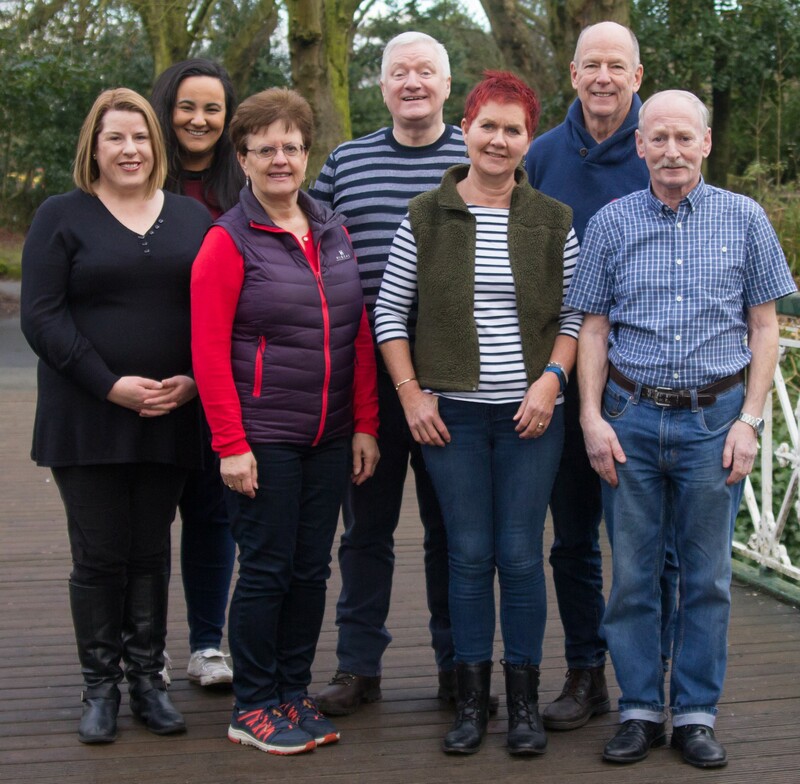 The local elections on May 3rd are its first big test since and Labour hopes to make local political history again by gaining its first elected Sefton councillors in the town. 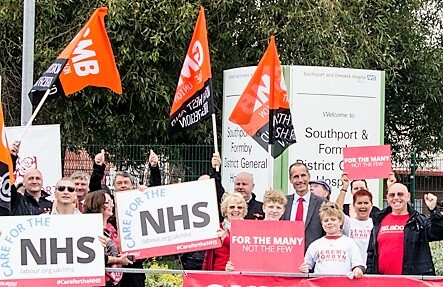 Calls have been made by Labour’s Liz Savage for Southport Hospital to receive greater levels of support and funding after the latest Care Quality Commission report about standards there. England’s Chief Inspector of Hospitals found several areas of concern across Southport and Ormskirk NHS Trust and rated services unchanged at Requires Improvement overall. The Trust was rated “Requires Improvement” for being safe, effective and responsive. It was also rated “Inadequate” for being well-led and “Good for Caring”. At Southport Hospital the ratings for services stayed the same – “Requires Improvement”. A number of problems were identified from not securing patients’ notes securely to their risk assessments not being completed consistently. It found that while mandatory training levels had improved, records for surgery showed that not all theatre recovery staff had completed immediate or advanced life support training. Across the hospital staff did not follow the trust’s infection control policy in relation to nursing patients with communicable diseases. At the time of the inspection areas within the hospital were also not visibly clean. This included areas within spinal injuries, urgent and emergency care, surgery and medical wards. The rating for the North West Regional Spinal Injuries Centre which is located the hospital, actually went down to “Requires Improvement” from it’s previous “Good” standard. “While we saw some improvements they were limited. At the 2016 inspection we raised concerns regarding patients’ privacy and dignity… Unfortunately, at this inspection we observed patients were being cared for on the corridor in various states of condition and undress. “The North West Regional Spinal Injuries Centre is based at this trust and it’s very disappointing to report that the rating for this service has fallen to Requires Improvement. Ormskirk Hospital was also found to “Require Improvement” but the children’s emergency department service was rated “Good”. “The trust has been going through a tough time over the last couple of years, staff are under huge pressures due to the Conservatives handling of the NHS and it has also had local management issues. It needs greater funding and more support to help ease it through this difficult period. Damien Moore recently accused us of ‘scaremongering’ when we raised concerns about what was happening at Southport Hospital, claiming all was well there. Will he now accuse the CQC of the same?